Come with me as I journey coast to coast across Highway 50 - The Main Street of the United States. It runs all the way continuously from Ocean City, Maryland on the Atlantic Ocean to Sacramento, California in the west. 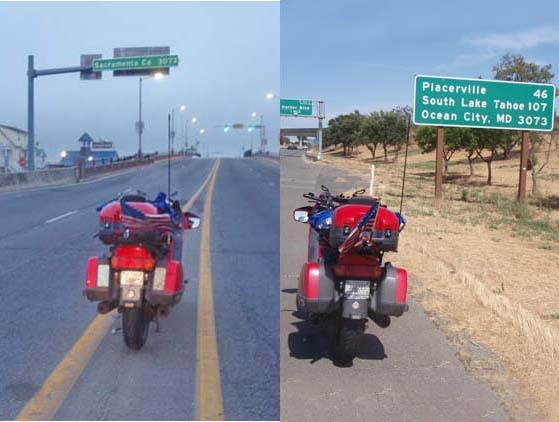 (And I rode the rest of the way to the Golden Gate Bridge since the highway used to go all the way to San Francisco!) Visit places like Pikes Peak, the ghost town of Thistle and the Extraterrestrial Highway along the way. It's a ride I've talked about for years and decided that there was no better time than now to finally do it. Is This Really Thistle Or Not? Did You Bring Me Any Biscuits?